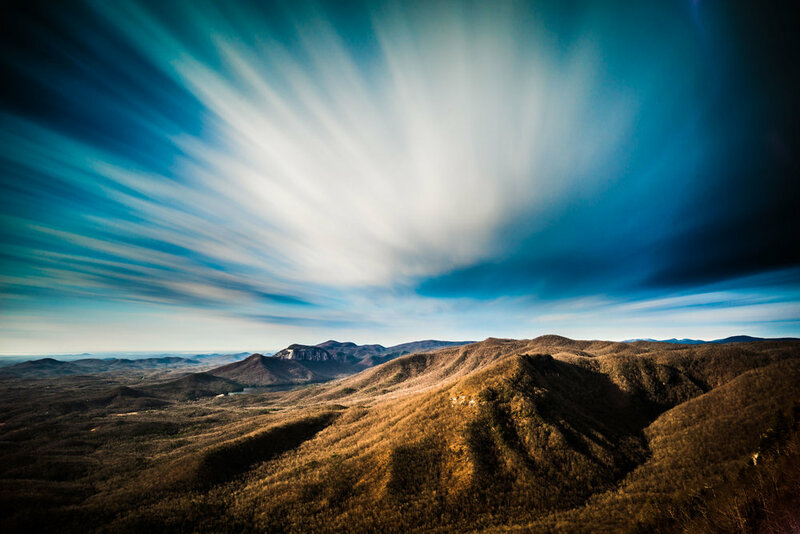 Often in landscapes I will use neutral density filters (or an app on my camera) to get a long exposure time so that the single photograph will capture some of the movement in the scene around me at that time. For example flowing water or clouds drifting across the sky. I wanted to do the same during a portrait session with a few athlete friends of mine after being inspired by Erik Christian's photographs of basketball players. His concept was to use a colored constant light on the model for the movement and a pop of flash at the end of the exposure to freeze the athlete. As soon as I saw his work I quickly recreated the setup at home to practice using my son as the model. The practice helped as it was tricky work to eliminate the background while still getting enough of the colored constant light on the model to track his motion. To make this easier for my next session I brought in a projector connected to a laptop to provide the colored constant light. This worked extremely well as the beam was focused and I could create any gel color and pattern I wanted with the computer display. Some additional improvements I would make next time; try increasing the projector brightness and make sure the beam catches the entire model. Add some fill light flash and/or try adding some back lighting. Finally smoother, slower, movements by the model, like a dancer would help the aesthetics.